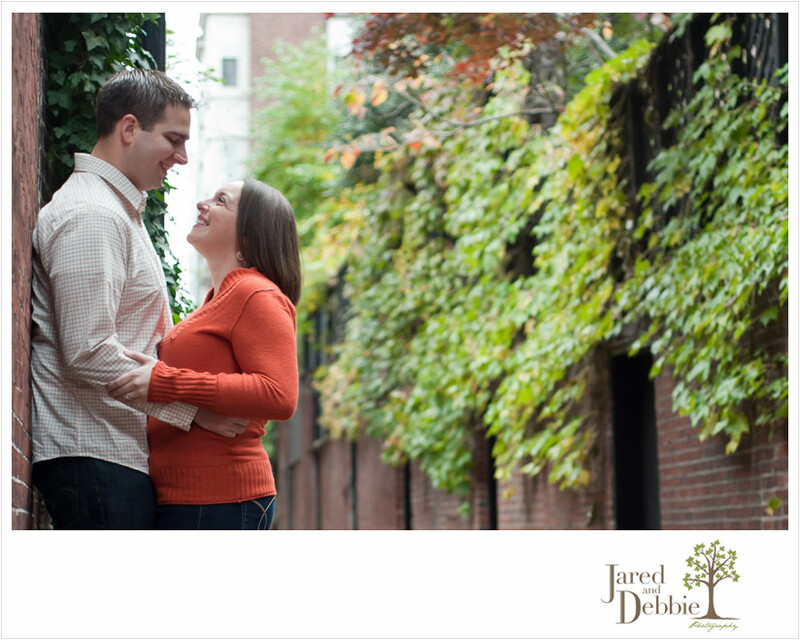 Amanda and Steve, much like Jared and I, have a SUNY (State University of New York) love-story! SUNY Buffalo in their case, which is where they met while studying for their undergrad degrees. When Amanda graduated and got accepted into grad school in both Boston and NYC, she decided to make the move to Boston and had her fingers crossed that what was meant to be would find a way. Five months later and no job luck in NYC for Steve, Amanda convinced him to come visit her in Boston. Within his week-long visit, he found a job and an apartment! How’s that for fate?!? 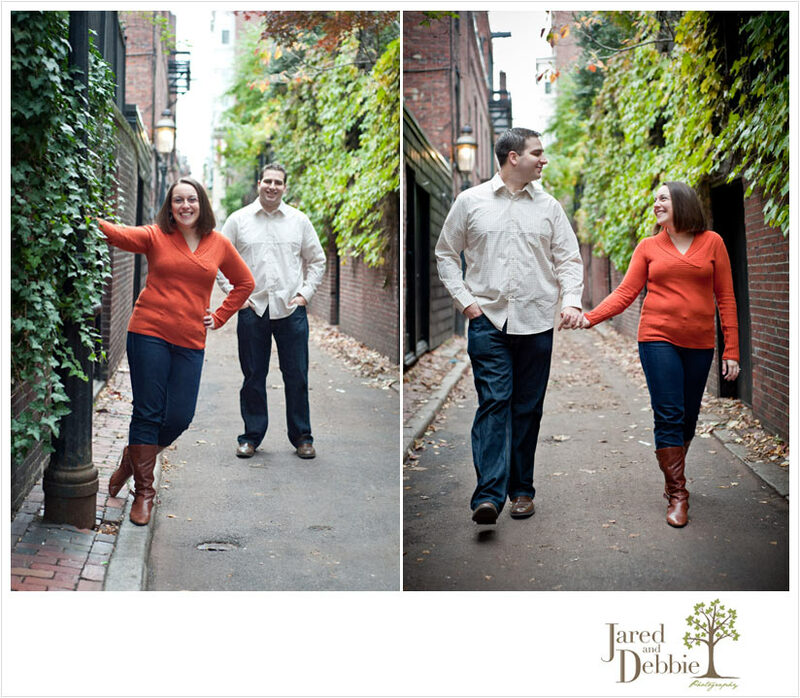 Fast forward 3 years and they’re engaged, just moved into an apartment together and are thoroughly enjoying everything that the great city of Boston has to offer! 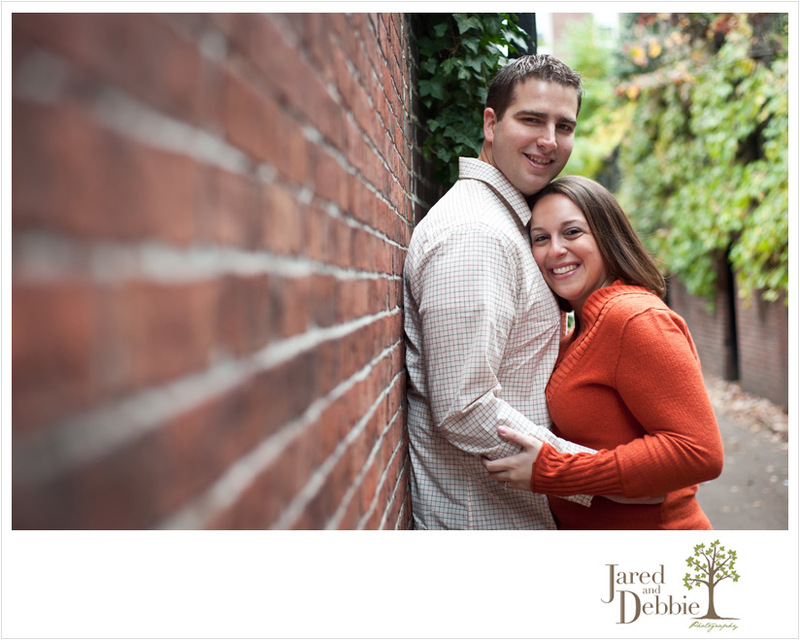 Jared and I met up with them in the historic Beacon Hill on a very chilly November day. First stop was this awesome little alley! Then we headed over to the iconic Acorn Street which is said the be the most photographed street in America! From the streets of Beacon Hill we booked it over to the Esplanade to catch the last bit of daylight. Once we got down by the Charles River, the wind was whipping like crazy and it was wicked cold!! Didn’t stop Amanda and Steve from taking off their jackets for the sake of awesome pictures though!! To cap off our trek through the esplanade, we were treated to a beautiful sunset! Amanda and Steve you guys totally rocked out your shoot! Steve you get MAJOR bonus points for being all about it! Most guys (including Jared) are so hesitant about pictures but we loved how involved you were and it shows in all the images!! That’s a hint to all you gentleman out there – be like Steve!